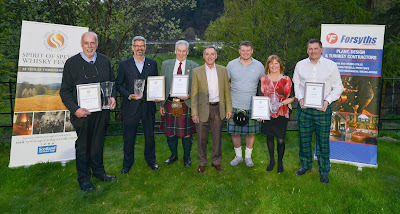 Spirit of Speyside Whisky Festival organisers, have announced the winners of this year’s whisky awards. The winners for the only whisky competition in the world, that places the power to determine the winning drams in the hands of the public, were announced at last night’s festival closing event, held at the Craigellachie Hotel in Speyside. The runner-up in the 21 and Over category; Cragganmore Special Release 25 Year Old, received the most overall votes, making it the public’s favourite.